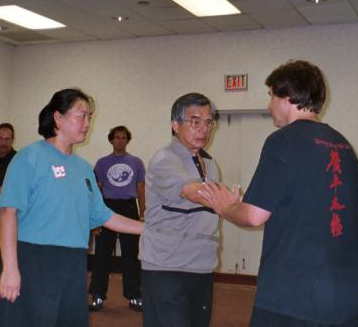 The primary purpose of this program is to assist in funding activities which further the mission of the Guang Ping Yang T'ai Ch'i Association which is to "promote, perpetuate, develop interest in, and presever the quality of Guang Ping Yang style T'ai Ch'i Chuan throughout the world, and to provide support for research and education in guang Ping Yang T'ai Chi in honor of the memory of Sifu Kuo Lien Ying, who brought Guang Ping to the United States, and in commemoriation of his unselfish sharing of his many skills. c.) to help finance promotion of Guang Ping Yang related events. Carefully read through the criteria and submission pages on how to receive such grants located under the Mini-Grant Criteria and Application link to the left. Good Luck! !